Americans are inclined to believe that, with the collapse of the former Soviet Union, the Cold War from 1945 to 1991 was over. In fact, that war of ideologies, communism versus capitalism, began in the 1920s after the Bolsheviks, led by Vladimir Lenin, initiated a covert program to undermine America. 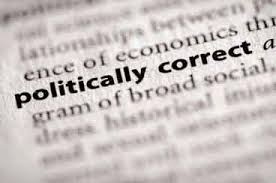 Today we call it "political correctness" and its impact on our society is sapping it of its true history and values. "Willing Accomplices: How KGB Covert Intelligence Agents Created Political Correctness, Obama's Hate-America-First Political Platform, and Destroyed America" by Kent Clizbe, a former CIA espionage officer, reveals how active and covert agents of the KGB, the Soviet security and intelligence agency, has led inevitably to the election of a President who hates America and is seeking to undermine it in every way possible. If that sounds implausible, keep in mind that Obama is the first President to shake the hand of Raul Castro, the brother and current president of Communist Cuba, at the recent Mandela memorial. He is the same President who told Dimity Medvev, the third president of the Russian Federation from 2008 to 2012, that he would have more "flexibility" in his second term to carry out its ideological war on America. Clizbe's book deserves far more notice, but in a nation in which its mainstream print and broadcast outlets are filled with Leftists, that is not going to happen. He details and documents how the messengers of the attacks "denigrated American patriotism, capitalism and individualism, and called into question American foreign policy." He calls those messengers Russia's "willing accomplices." "By the 1980s, full-blown politically correctness (had) infected academia, education, the media, Hollywood, and American society in general. Americans were constantly bombarded with reminders of their hatefulness, bigotry, racism, sexism, and imperialism. Confused by the message of hate and disgust, while their daily lives were filled with positive energy, normal Americans became wracked with guilt." "They were reminded daily that they were guilty of slavery, bigotry, killing babies in Vietnam, oppressing minorities and women around the globe, stealing the continent from the Indians, being arrogant in dealing with foreigners, killing the Earth with their hairspray, and various other sins." It took the imposition of Obamacare to awaken many Americans to the danger of a government intent on taking over one sixth of the nation's economy, the movement called the Tea Party, and it is awakening millions more to the threat to their lives. This is why, during his first campaign, Obama accused Midwesteners of getting "bitter, they cling to their guns or religion or antipathy to people who aren't like them, or anti-immigrant sentiment..." This is why, during his first term, he launched a major effort to attack the Second Amendment and why American opposition to illegal aliens is characterized as wrong. It explains why the Obama administration bailout of General Motors which should have been allowed to file for bankruptcy and reorganization has cost Americans ten billion dollars. It explains why billions were wasted on "investments" in solar and wind turbine manufacturers that went bankrupt shortly afterward, and why some six trillion dollars was added to our national debt in Obama's first term. It explains why Obamacare, a full-fledged disaster, was passed by Democratic Party votes by Senators who never read the bill. No Republican voted for this bill. And hundreds of thousands of Americans will die because they can no longer afford their medications, no longer have access to their personal physicians, and can no longer gain admittance to hospitals. Political correctness has been advanced by a fundamental formula: Admit nothing. Deny everything. Make counter-accusations." Little wonder why conservative politicians and the Tea Party movement are constantly attacked as bigoted and evil. Political correctness infuses all aspects of our culture today, but is most evident in our school systems and our institutions of higher learning. Glizbe warns that "Children exposed to this insidious self-hate are programed to hate themselves, their ancestors and predecessors, their country's founders and leaders, past and present." It explains why a massive effort was launched to ensure that neither the salute to the American flag, the pledge of allegiance, and prayer are no longer a part of the daily regime in our schools. It is evident in Hollywood where one of its famed purveyors, film director Oliver Stone said "Nationalism and patriotism are the two most evil forces that I know of..." It explains why films like "Wall Street" denigrate capitalism. It explains why so much of American culture, particularly what passes for entertainment, has fallen victim to the massive covert effort that was launched after the end of the Russian civil war to imposed communism. "The goal was to destroy the core moral fabric of American society." It explains why Christmas and the whole of Christianity is under attack in America. It will take an equally massive effort by Americans, patriots, to fight against and reverse the harm that has been done to our society and our governance – check out the numbers and names of the Progressive Caucus in Congress – but it must be done in the face of President Obama's campaign to reduce the influence of America on global affairs, to create class warfare against America's "millionaires and billionaires," and the vast expansion of the "social programs" that have millions of Americans on some form of government dole while we struggle to overcome the longest recession since World War Two. It is the naked face of communism. Political correctness is political ignorance. A vast re-education of generations of Americans will be needed to reverse its effect on our lives and the future of the nation.